Ford Foundation formally conveyed ahead of Modi visit to US: All restrictions on foreign funding "removed"
Knowledgeable sources in the Gujarat government, citing information they had received from the Prime Minister’s Office (PMO), have said that the US-based philanthropic organization, Ford Foundation, has been formally conveyed that all restrictions placed on it under the Foreign Contribution Regulation Act (FCRA) by the Government of India have been “removed”, and it could freely operate as a registered NGO in India. This happened because, said the sources, strong lobbies were operating in the US, putting pressure on the White House to raise human rights issues with Modi, who landed in the US on June 7. “Had this happened, it would have meant a major embarrassment to Modi”, the sources said, adding, “Sensing trouble, the Centre acted quickly to formally tell Ford Foundation about the good news. Sources also said, apart from Ford Foundation NGOs, lobbies at work in the US were in “direct touch” with some of the senior administrators and academics of educational institutions which received Ford Foundation funds – IIT Bombay, IIM Ahmedabad, National Law School of India University (NLSIU), Jawaharlal Nehru University, Jamia Millia Islamia, GB Pant Social Science Institute and National Academy of Legal Studies and Research. These insitutes wanted the Ford Foundation to “lift” all FCRA restrictions at the earliest, as, according to them, these were “affecting projects”, including those related with capacity building and technical assistance, feasibility for wireless broadband services to the rural poor, fellowships for international studies, and general research work. 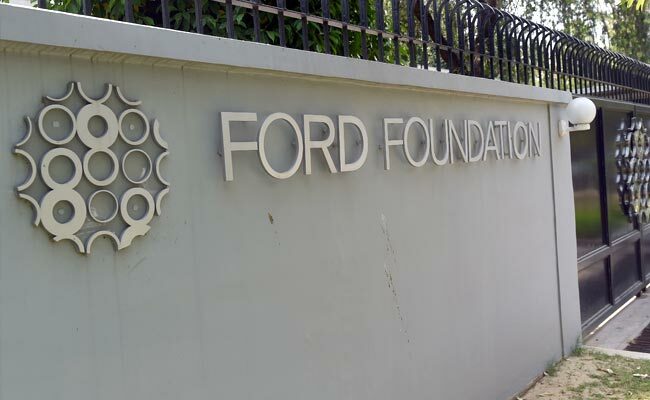 The relations between the Ford Foundation and the Modi government began showing signs of thawing early this year, when it was taken off the 'prior permission' list. The 'prior approval' list comprises a group of organisations under government scanner for alleged 'anti-India' activities. Soon thereafter, the Government of India “unblocked” foreign funds amounting to $150,000 to the Ford Foundation's Indian bank accounts, helping it to pay salaries to its staff. Gujarat govt role: A little more than a year ago, the Gujarat government’s home department has asked the Government of India to seek an inquiry into the Ford Foundation’s grants to NGOs run by human rights activist Teesta Setalvad, fighting tens of 2002 communal riots cases. In a letter addressed to the Union Home Ministry, the Gujarat government officially said action should be taken against the Ford Foundation, alleging that the it was "interfering in internal affairs" of the country and "abetting communal disharmony" through the NGO Sabrang Trust, run by well-known social activist Teesta Setalvad. The complaint reportedly said, Setalvad’s NGO received $250,000 with allegations that she “embezzled” these funds given to her NGOs -- Citizens for Justice and Peace and Sabrang Trust. A CBI inquiry was instituted, her house was raided and an attempt to arrest her was made, but a Supreme Court order came in the way. The Union home ministry placed Ford Foundation on its watch list and said that its funds would be routed with proper clearances. Meanwhile, the Ford Foundation moved quickly to remove one of the technical glitches – it had been operating in India since 1952 as the only NGO which did not operate under the then Foreign Exchange Management Act, which required registration under the Indian Societies Act. On registering as Indian NGO, in March this year, the Ford Foundation was taken off the "prior permission" list – a move that came just a few days before Prime Minister Narendra Modi's visit to the US for the Nuclear Security Summit in Washington. Enjoyed your comprehensive reporting. Great talent, nourished by years of hard work. what is that talent you have seen for writing just 3 paragraph biased content?